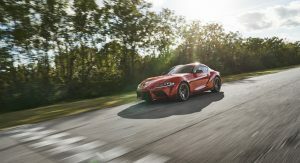 Being aware that enthusiasts have waited too long for the all-new 2020 GR Supra, Toyota has released U.S. pricing simultaneously with the car’s world debut in Detroit. So we learned that the base 3.0 trim level starts at $50,920, including $930 destination. 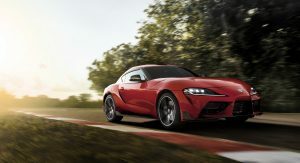 Our first instinct was to compare the Supra with the pricing of its platform sibling, the BMW Z4 Roadster. 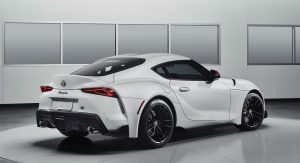 As it turns out, that comparison puts the Toyota in very good light. 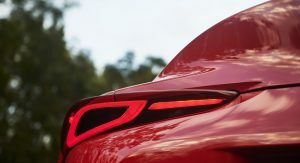 You see, the 2019 BMW Z4 M40i starts at $65,690, including $995 destination. 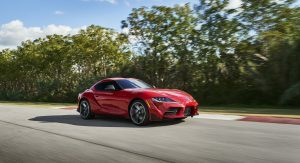 That makes it almost $15k more expensive than its brother with a Japanese name, despite the fact that both cars feature essentially the same mechanicals. 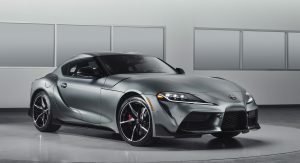 Yes, the turbocharged 3.0-liter straight-six delivers 47 extra horsepower in the BMW but the roadster is 46 lbs (21 kg) heavier. 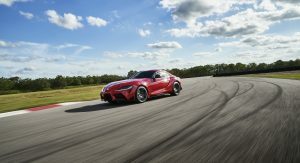 Still, the two cars are evenly-matched from a performance standpoint: the Z4 M40i’s recently updated 0-60 mph time is 3.9 seconds, undercutting the Supra by just 0.2 seconds. 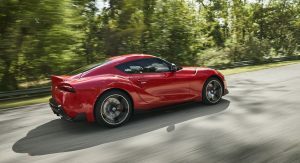 All things considered, the Supra definitely makes more financial sense than the Z4 M40i in the United States, although they target different types of customers. 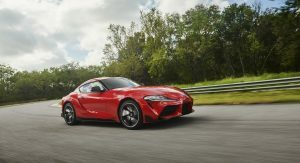 But will the Japanese sports car have it as easy when compared to other fixed-roof rivals that cost about the same? 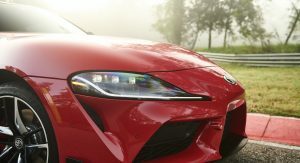 We’ve compiled a list of sports coupes that hover around the $50,000 mark to try and anticipate how well the Supra will do when going on sale later this year. For obvious reasons, we’ve restricted our search to rear-wheel-drive cars and we tried not to go beyond $10,000 in either direction. Buckle up. While the Z4 M40i isn’t a direct rival for the Supra, the M240i Coupe might as well be. 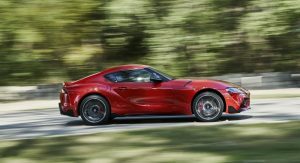 An M2 on a budget, it undercuts the Supra by a little over four grand — despite packing the same 335-hp engine. 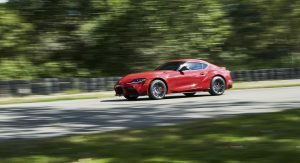 It’s almost as fast as the Toyota, sprinting from 0 to 60 mph in 4.2 seconds when fitted with the optional eight-speed automatic. Furthermore, it features the same 50:50 weight distribution and the added benefit of rear seats. Want more? 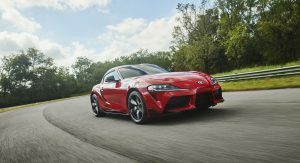 You can even have it with xDrive AWD and it still would be cheaper than the GR Supra. Plus, it doesn’t look like it swallowed a jar of steroids, allowing you to fly under the radar most of the time. 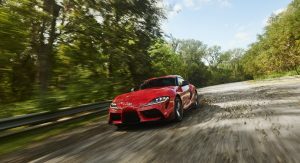 The Supra just can’t shake BMWs, can it? 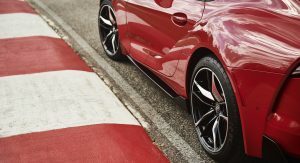 Despite costing nine grand more, the BMW M2 Competition is too good to ignore for anyone who’s in the market for a performance coupe. 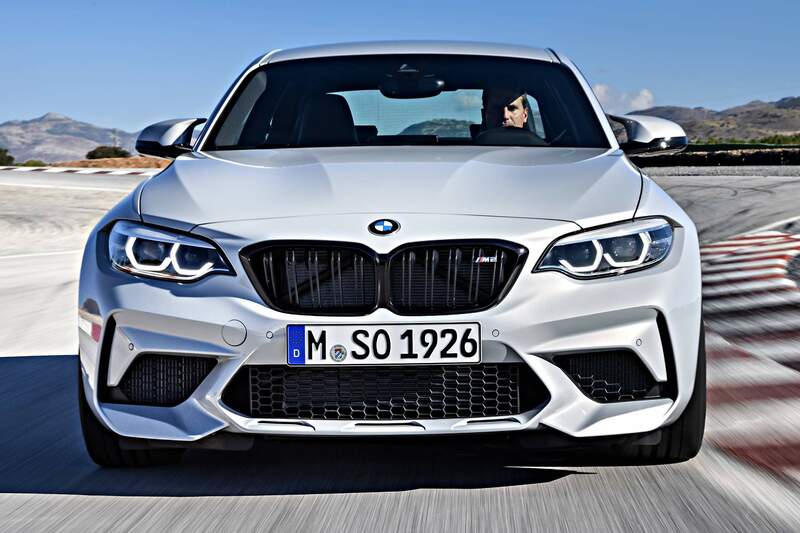 Unlike the previous M2, the Competition features a proper BMW M engine. 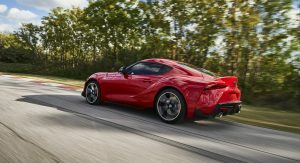 It’s slightly quicker than the Supra, going from 0 to 60 mph in 4.0 seconds with the optional seven-speed double-clutch transmission. The icing on the cake? 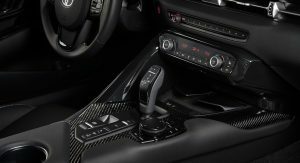 It comes with a standard six-speed manual gearbox. We haven’t gone mad, it’s just that the Mustang Bullitt is too good an offer to ignore. 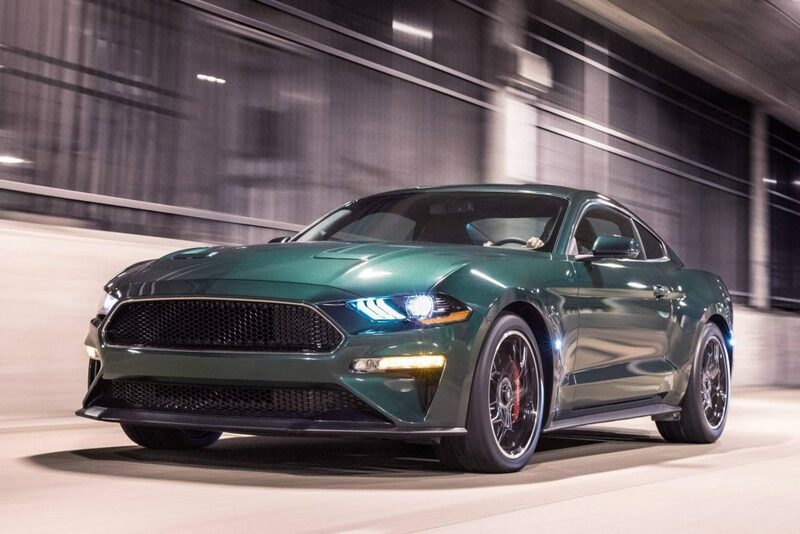 Think about it: for about $3k less than a Supra, you can get a V8 Mustang with a lot more power and torque, standard manual transmission and the iconic looks of Steve McQueen’s classic Mustang Bullitt. 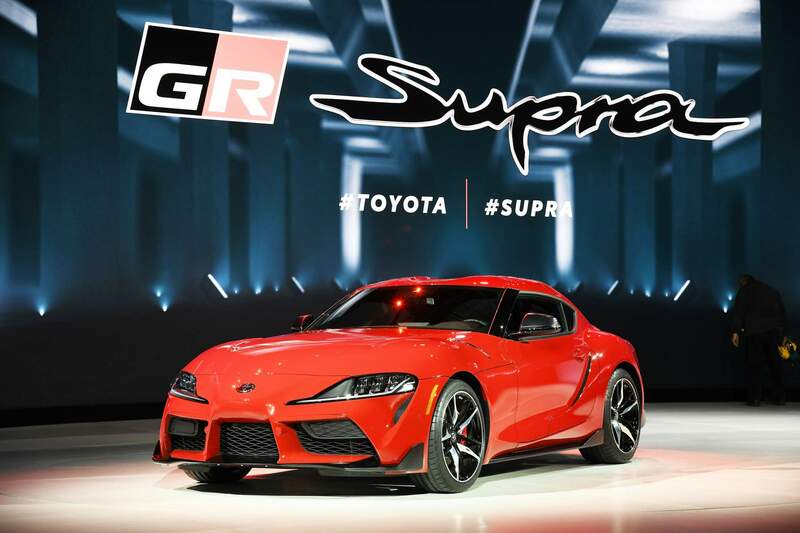 If you’re good with the clutch, it does 0-60 in about the same time as the Supra. 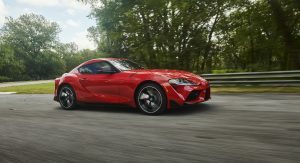 It may not be as rewarding to drive but it’s a lot roomier — even though that comes with a significant weight penalty over the Supra. 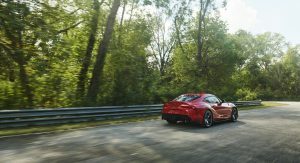 The fact that we’ve included the aging Nissan 370Z Nismo in this list is telling of the Supra’s shift from a Nissan GT-R rival back in the day to a 370Z competitor now. 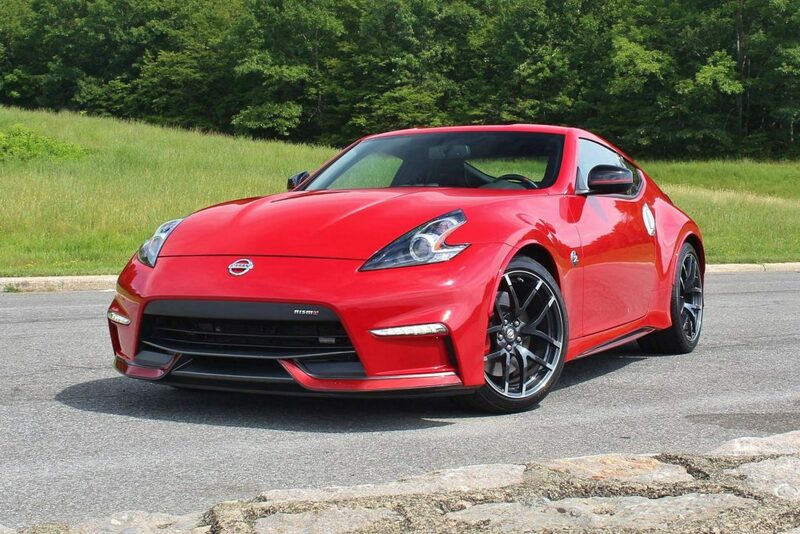 Still, one should never underestimate the 370Z Nismo. 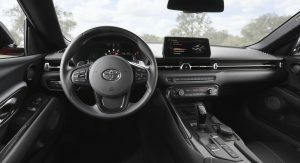 With a 0-60 time of 5 seconds with the standard six-speed manual transmission, the 370Z is slightly slower than the Supra but as sharp to drive and as analog as it gets. Plus, you can also have it with a seven-speed automatic. 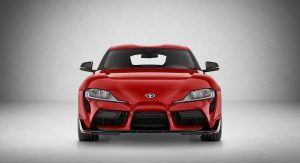 The only four-cylinder car in this list is also the only one in a mid-ship configuration. The 718 Cayman may be the entry ticket into the world of Porsche sports cars but it feels anything but entry-level. It’s an extremely balanced, well-built machine that also goes fast. 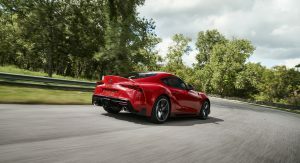 It’s slightly off the Supra’s pace, though, with 0-60 mph taking 4.7 seconds when equipped with the PDK transmission (4.9 seconds with the standard manual gearbox). The only downside is the underwhelming sound of the turbo flat-four. Our sixth and final choice is most certainly the best value for money. 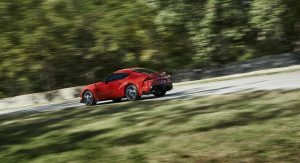 For around six grand more than the Supra, you can get a V8-powered Corvette Stingray that’s much quicker than anything in this price range. 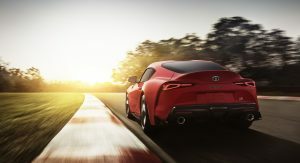 0 to 60 takes 3.8 seconds with the standard seven-speed manual or 3.7 seconds with the available eight-speed automatic. It’s the only car in this group that goes under 4 seconds and the only one nearing supercar territory. Need we say more? 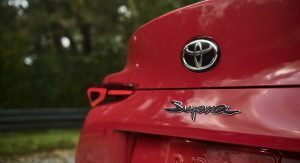 Still think the car looks ugly.. It’s like they just grabbed a clay model of the toyobaru twins, added some curves and vents and called it a day. 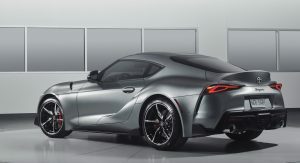 Also, it’ll never ever be a true supra successor with those Bimmerguts. 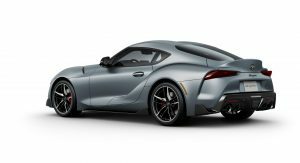 Besides the fact that the Z looks like a real sports coupe, it’s a Japanese built vehicle meaning an owner can enjoy many trouble free years of motoring and not pay exhorbitant servicing costs. Nissan, regardless where its vehicles are built, has been known for its electrical and transmission problems, and now it’s partnered with Renault which is even worse. I think they are trying to wriggle on the last one at the moment. M2 Competition all day long. And it comes with a 6MT. 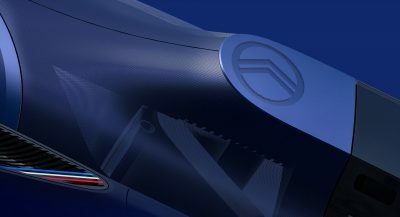 And the S55 from the M3/4. 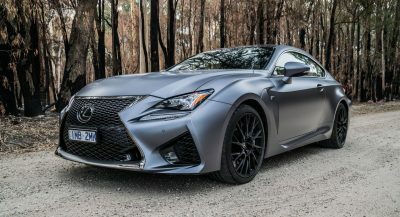 I would add the 370z Sport. 31-32k out the door, 332hp, 270tq, 6sp mt, 19″ forged wheels, sport brakes, rev match, limited slip diff. Plenty of after market parts, 20+K less. 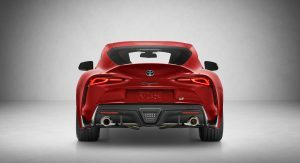 BMW and Toyota worked together for 2 years on the platform, then each went apart for 4 years as seperate vehicles. 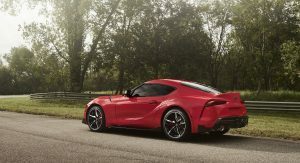 GazooRacing developed the supra. 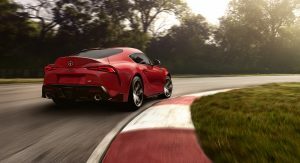 But what makes the cars different and distinct from one another (other than a few horsepower numbers)? Thus far, I haven’t read anything that makes the case for something other than a badge engineering job. 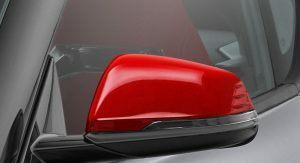 nothing, the supra is badge engineering. They want to sell you that GR tuned the car, but as far as I’ve seen there is nothing that dictates that. When they are released to the public and I can check a parts catalog it would be easier to know if GR really did something. 1. M2 or Corvette 2. Porsche 3. 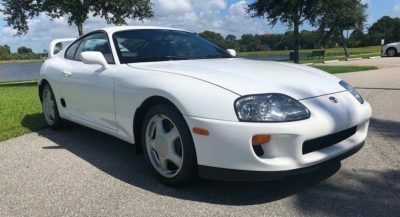 Bullet… Only reason I’d take the Supra over the Nissan is that —damn it the 370 looks way too dated especially inside… Enough said. The writer doesnt seem like a track guy yeah? You are like memorizing “the brochure” lol …..which is quite misleading. 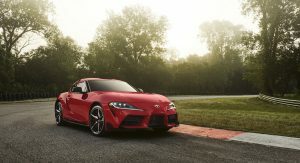 1- Supra has is almost 10 inches shorter in wheelbase AND wider tracks than both 2 series BMWs, for autocross or drifting, this is a **monumental** advantage to the supra! It equals the Cayman in this area. 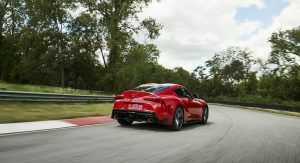 2-Its has DOUBLE the chassis rigidty of either the 370z or the corvette, and more than the BMWs, since it’s as rigid as the M4. 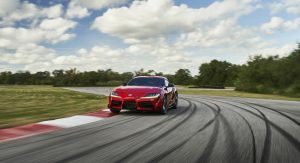 in the track, (even more so with grippy tires) nailing that slip angle takes surgical finesse which is only as accurate as your chassis rigidity. 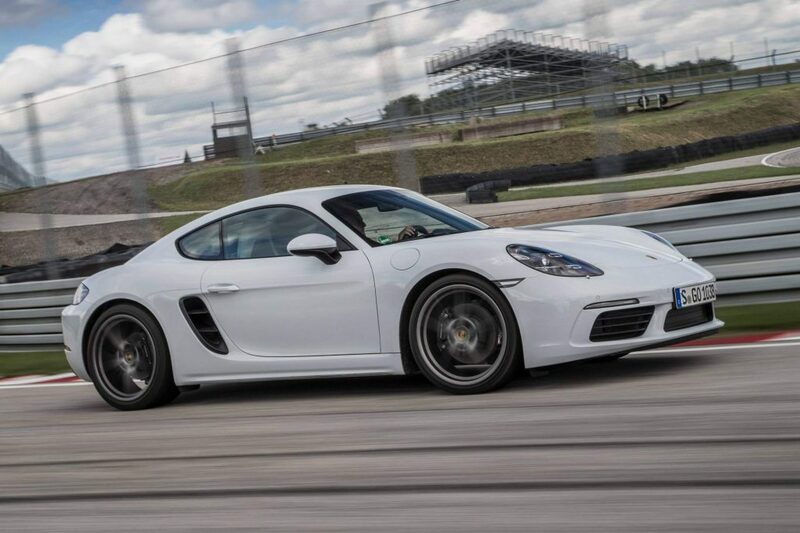 Interestingly….it has the same ~ 40,000 nm/deg torsional rigidty of the cayman! Got the trend? It’s only rival in that list is the Cayman, and since its priced against the 295hp cayman, not the S, and with other aspects equal NOW the power gives it an edge. These engineering facts; corroborates its SUPeRiority in that list for track use; IMHO. 99,9% of people don’t drift on the racetrack and have no idea cars have different level of rigidity. When you have 50k$ for a sports car it makes sense to check these and compare them. Agree with you. 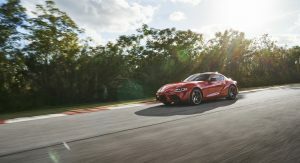 On a racetrack, Supra will show why its special. And for the 0-60mph crowd there is always option of modification. #1 with a Bullet. The 718 is interesting but performance cars that don’t sound like performace cars are not performance cars. Wait, the 370z is still on sale? Might as well up the price a bit and get the one king to rule them all (in this price bracket) – Camaro ZL1. Also nice that you can get it well below msrp in 50k range. Certainly would be my choice. Mustang handles rather terribly, is too massive and clumsy, feels like a sport sedan. 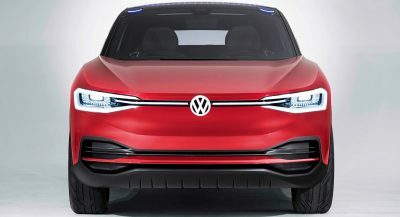 It also has terrible practicality with a rear seat that nobody could fit it, given the slope of the roof. Also, 15mpg in the real world is nobody’s practical. I think you meant M2 Competition, perhaps. It has everything except looks. Since I’m from Europe, can I get an Alpine? Thank you. You can get one, but it’d likely break down given that it has an engine from a Renault Megane. 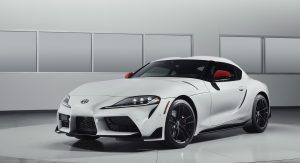 There might be faster 0-60mph cars in the $50-60k range but i reckon Supra to be the most sophisticated and sharpest tool on a racetrack in this price range. A proper driver’s car. But offcourse we all will find out soon. Why would you “reckon” that? Every review says its only decent on a track and shines on the street. Plus, BMW no longer builds true track weapons, all of its M cars are just good on track, but also heavy, numb, etc. 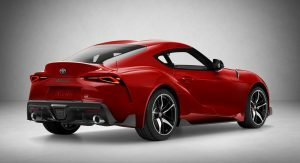 and the Supra is no M car. Model 3 Dual Motor whoops all these trash guzzlers. My M2 will crush that RICE BURNER and look just swell doing it. 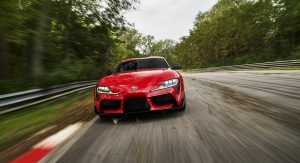 The M2 is a prom queen compared to that Supra Sea Hag! Cheap looking plastic crap. The BMW is the way to go. 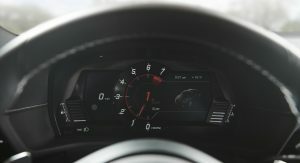 If the Corvette had a fully modern and higher quality interior along with a dual clutch auto or something as good as BMW’s ZF 8speed tuning, it would easily be the pick of the litter. 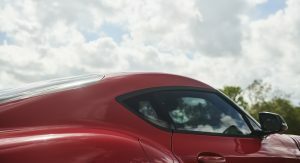 Its the best looking out of all of these (Cayman is close) and massively fast, not to mention fun to drive. Plus, it’s n.a. 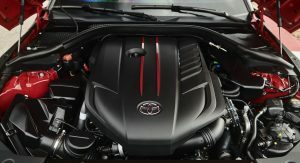 engine is more rewarding than any turbo, any day,. 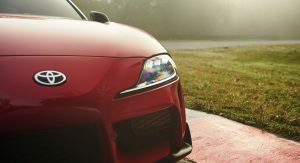 As it stands, I’d have the M2 Competition. Great build quality, epic performance, and special motor. I’m honestly liking the M240i/M2 for the standard 6-speed. I know that 8-speed ZF gearbox is bulletproof and has been proven to handle a ton of power. 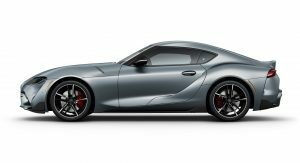 Still, I feel the 240i channels the old Supra better than the fifth generation new Supra. If I can, I would like to include both the Ford Mustang GT Bullitt Edition and the BMW M2 in my collection. Porsche/VW Group have gearboxes that shift so fast, we don’t notice. But I’ve never cared for modern Porsches. I would prefer a manual M2. M2 competition all the way. in gray, please. M2 or Cayman. I’ve driven both “in anger” on tracks. 370z nismo for me. Also it has a proper manual. 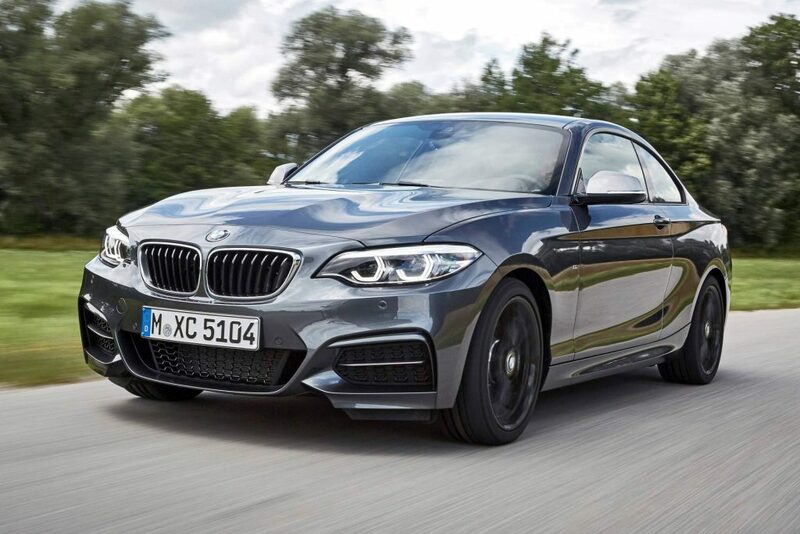 The BMW M2 and 240i are quite the bargains actually. 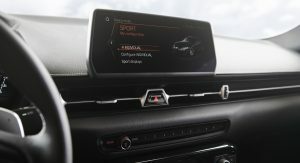 The M2 is the best current M car and in my opinion is more like past M3s than the current and upcoming models. That being said, I’m torn between the 2-Series and the Ford Mustang Bullitt. 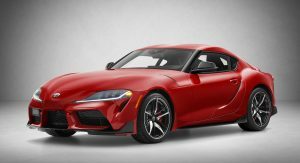 These modern sports coupes are fitting send offs to the ICE. 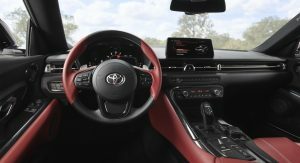 The BMW 240i and M2 can be had with manual transmissions, so Supra buyers looking to change their own gears should consider the 2-Series. 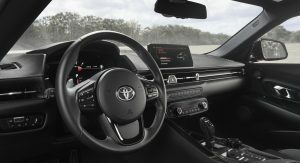 Hopefully Toyota will offer the 6-speed manual soon. 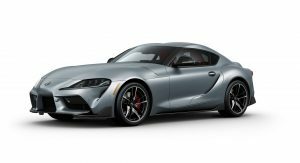 FYI the Supra is basically a 240i automatic. 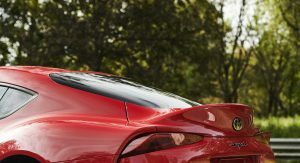 Camaro ZL1 is another option. 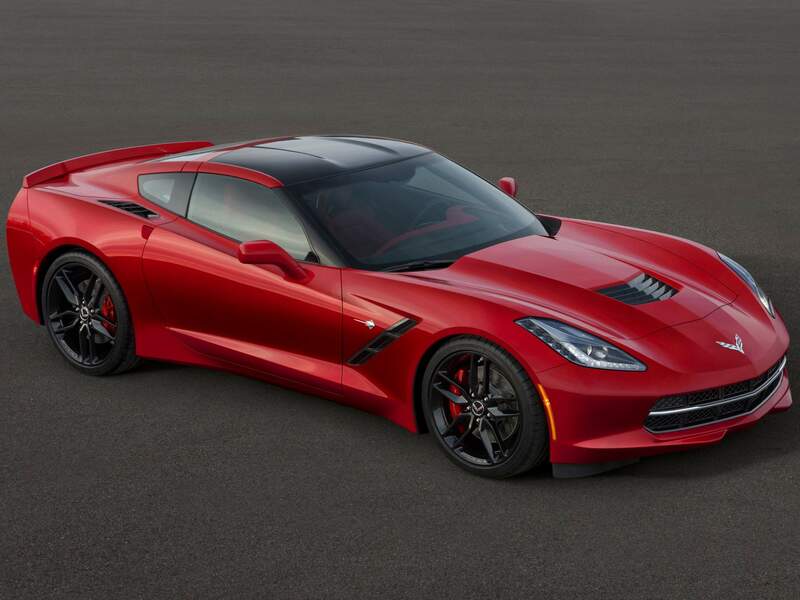 It’s priced within a hair of the Corvette, is insanely fast, and looks amazing.